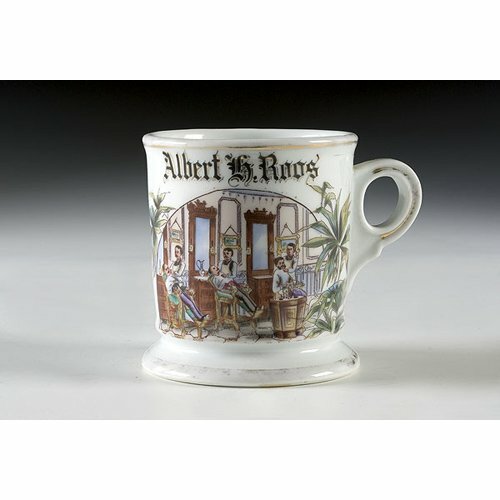 Barber’s Occupational Shaving Mug with Three Barber Chairs, porcelain with polychrome painted interior barbershop scene from decorators Koken Barber Supply Co., St. Louis, their mark underneath mug. This intricate scene is flanked by plant decoration. 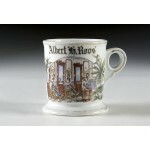 Name is in black gothic lettering with gilt outlines Albert H. Roos.